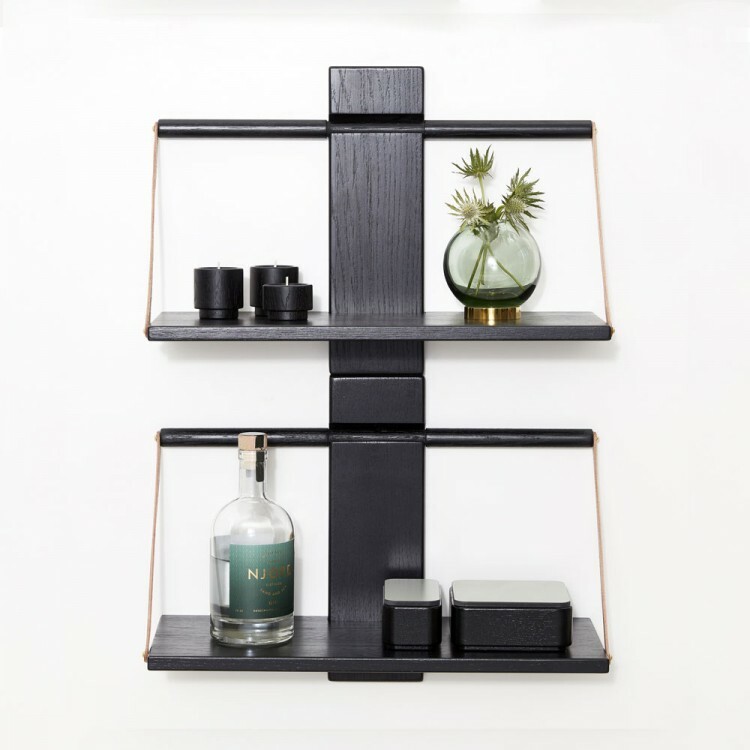 Wood Wall is an exciting new shelf with leather straps. Contemporary and elegant, it fits perfectly in most settings. 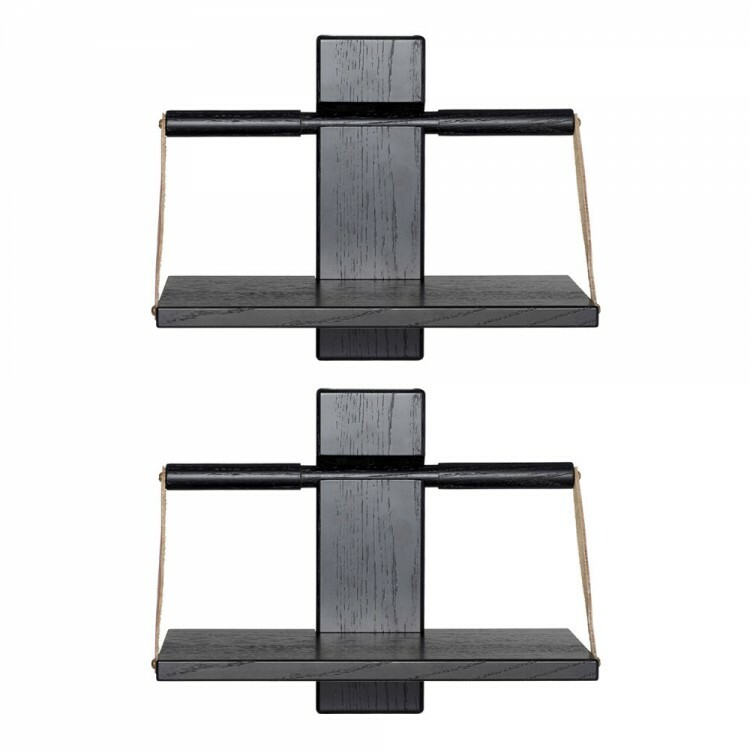 By virtue of its simplicity and fine design, it can be used in any room – in the hall, bathroom, kitchen and living room. The shelf looks great anywhere, and is ideal for displaying knickknacks, pictures, flowers and candles. 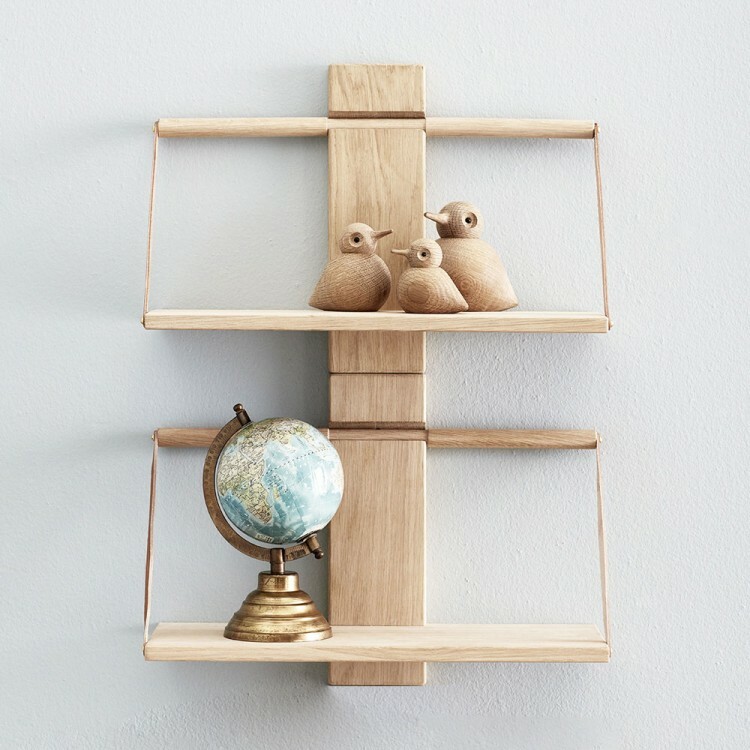 Wood Wall is easy to mount on the wall, with the option of placing several shelves on top of each other to give the appearance of a bookcase. 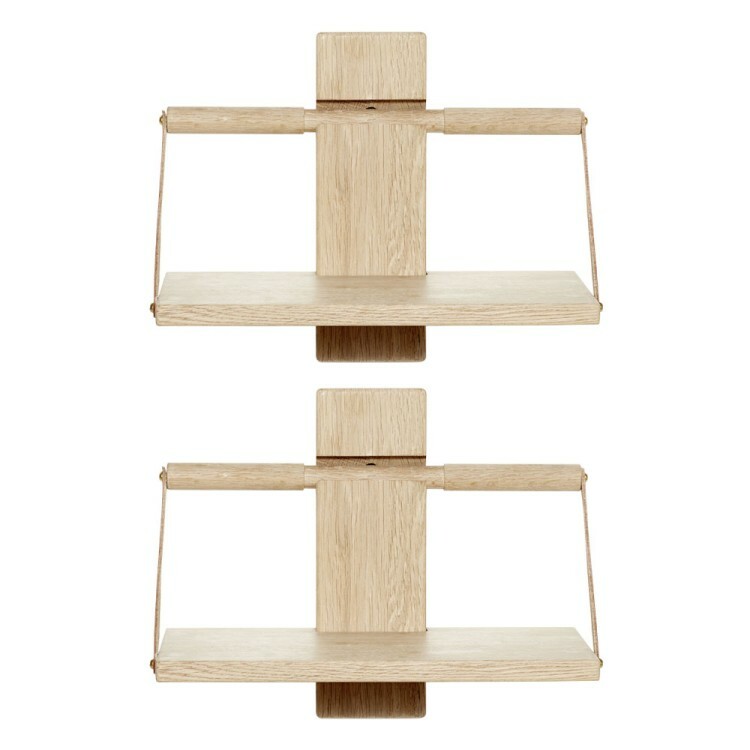 It is made of solid oak and the straps are genuine grain leather.